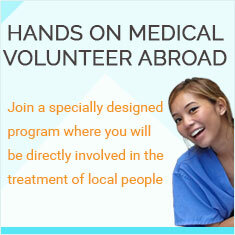 Interested in an affordable & hands on medical volunteer abroad program in Ghana? Are you a medical student, doctor, nurse or other medical professional? Are you looking for opportunities to gain hands on medical experience ? Or are you interested in sharing your medical experience within imporverished communities? Then, our Ghana medical camp is a perfect opportunity for you. Ghana is a heavenly place located in between the Ivory Coast, Burkina Faso, and Togo. Ghana is a country where you can explore fabulous beaches, exotic national parks, and the great Lake Volta, which is the biggest artificial lake in the world. You can also visit many different communities and ethnic groups who coexist peacefully with each other and have kept ancient cultures and traditions alive. Ghana, however, is a poor developing country and it suffers from poverty, illiteracy and other social issues. Many Ghanese people live below poverty line within many rural areas. In the rural villages, malnutrition, health, and treatablediseases are very common and a lot of the elderly members, women, and children are suffering . Unfortunately, there are not enough medical or public health care programs in place to assist these underprivilaged people. As a result, a lot of people are sick and dying from aliments that are treatable. Help is urgente. You can put your medical skills and interest to great use and make a world of a difference in the lives of those who are suffering and haven’t had access to a doctor or healthcare. The medical camp in Ghana is a mobile stand-alone medical camp that aims to help the poor people who cannot afford basic health care. The camp will be is led by local doctors and run by a team of volunteers, like you. When you join a medical camp in Ghana, you will look after locals from different walks of life. You will perform checkups, give them suitable treatments, and provide them with essential information about their health, how to stay healthy, and how to look after themselves independently. You will immensely help the local people in need and make immediate and highly beneficial changes in a short period of time. Any medical student looking for a hands-on experience or experienced medical professional looking for opporutnity to serve those who do not have access to basic healthcare can join this medical volunteering abroad program in Ghana. Medical students, physicians, physician assistants, nurse practitioners, nurses, nurse midwives, gynecologists, dentists, paramedics, EMTs, physical therapists, nutritionists, and any health care professional who wants to serve poor rural communities and change others' lives are welcome to join. Your local team leader will be a local doctor. In Ghana, the health camp will be led and cooridnated by a local doctor who will also be your team leader. The local doctor will coordinate the health camp, allocate the tasks to volunteers, explain the local health issues and problem, and supervise you. The team leader will stay with you throughout our project period. He or she will be youe main contact and will be available to the group for any kind of medical advice or assistance. If group size is large, more doctors, nurses, and interpreters will join the medical team. The program itenerary for the medical volunteering camp in Ghana will vary based on the needs of local communties and also the interest of the group. However, all medical camps will follow the same basic schedule. Your Ghana medical volunteer experience starts with a comprehensive orienation. Our Ghana country coordinator will provide all medical volunteers with an orientation session. The orientation mostly cover the following topics: culture, history, geography, politics, people, and contemporary issues. In the second part of the orientation, your team leader will give you an orientation about the medical camp, He or she will explain the primary goals of the camp, the daily itinerary, the common local health issues, and the job responsibilities in the camp. During the orientation, you willl also learn about your specific responsibilities as a medical volunteer. In the end, there will be time to answer all of your questions and to review the daily tasks. If time is availble, you will see the medical camp and meet the local team and the supervisors. On the second day, breakfast will be served around 7 am. Then you will leave for the camp. During the first hour, you will participate in the preparation work to get the medical camp ready to receive locals in need of health care. Volunteers must clean the work area, set up a desk where patients will register, and prepare the area for patient check-ups and other related works. Your volunteer activities will begin around 9 am when local people start to come to the camp. You will be very busy for three or four hours performing different tasks, meeting different people, providing patients with various treatments, giving general information about their health, and teaching them how to care for themselves, so they do not become ill again. You will be allowed to check up and treat the local patients. This will be a very hands on experience. Working with the local communities and helping those from impoverished living situations to improve their health and possibly deterring future diseases is truly a rewarding experience. 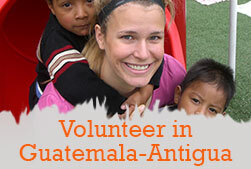 You will definitely have a positive impact on lives of these people as a volunteer. The medical camp will close around 1 pm. You will head back to the volunteer house and enjoy lunch and a well deserved rest. In the afternoon, you can discuss the tasks at hand for the following day or take your time to explore the surrounding areas. A member of the local team will be happy to help you to choose your free time activities. The camp runs only on the weekdays, Monday to Friday. During the weekend you will have time off to spend with your new friends or to explore Ghana, the nearest cities, the local markets, and the tourist attractions. We have successfully organized volunteer programs for the last ten years and have helped thousands of volunteers make the most of their time off. We will be happy to help you too. Just let us know what your needs are. This program starts again on the following week, if you have signed up for a two week program or want to extend your stay. Important notice: The sample itinerary above is just a general outline to give you a general idea of how we run the medical camp. Prior to your departure to Ghana, we will send you a final customized itinerary of your Ghana medical volunteer trip abroad. During your Ghana medical volunteer work experience, you and your group will stay in a volunteer house. Our volunteer house has large and spacious bedrooms, which you will share with one same gender volunteer. The volunteer house is a place uniquely designed to give a comfortable living situation for international volunteers . There will be communal areas, a television, kitchen and shared bathrooms with running water and "modern-day" toilets. You will easily relax, cool down, and make new friends after a busy morning serving others at the medical camp. The house is located in a safe and clean neighborhood with everything you need like coffee shops, grocery stores, restaurants, and public transport. To make the experience even better, you will be offered delicious local Ghanese meals, a mix of chichiya, banku, fried rice, waakye, shoko, plantains, and vegetables three times per day. Global Crossroad has a strong team of country coordinators and staff in Ghana. Our local team members will stay with you throughour the project period to ensure you a worthwhile medical volunteer experience in Ghana. The team will pick you up and drop you off at the airport and arrange your daily transportation to the camp. Our local team will also help make sure that you make the most of your time off in Ghana. Once you have completed your medical camp commitment in Ghana, you can rest, explore the country independently, or join another one of Global Crossroad's volunteering abroad programs such as teaching English or working with orphan children. It's totally up to you. The medical camp will be set up in schools, orphanages, clubs or health centers around Kasoa, a small city 45 minutes away from Accra, the capital of Ghana. The location will vary depending on the needs of the underprivileged communities in need of health care. The purpose of the international medical camp is to provide free primary health care services to the poorest members of the communities, such as the elderly, women, and children. Not at all. The services and treatments we provide to those in desperate need are absolutely free. Additionaly, we also distribute medicine and food to the poor local communities and encourage volunteers to bring medicines and supplies to increase the reach of our distribution. You can join the medical volunteer abroad program in Ghana for one or two weeks, depending on your availability and personal goals. Depending upon your education, experience, and expertise, you will perform a variety of tasks. Due to liability issues, to the limitations of the medical camp and to our inability to follow up, please avoid getting involved in any surgical operations and related procedures. The Ghana medical volunteer program only aim to offer basic medical services. However, many patients arrive at the camp seeking advice and treatment for specific diseases. In this situation you can use your experise to better serve your patients. However, due to liability issues, and to our inability to follow up, we do not allow any surgical operations and related procedures. Do I need to take equipment and supplies to Ghana? Yes. Due to the shortage of supplies, we requst that all volunteers bring whatever equipment or medical supplies they can bring for the camp. We ask all volunteers participating in this Ghana medical volunteer program to bring generic medicine and medical supplies for the patients. We also buy medicine locally, which we give away to those in need without charging them anything.